Sunningdale; Ulster Workers’ Council Strike; Internment. Airey Neave, then the Conservative Party spokesperson on Northern Ireland, said that Provisional Sinn Féin (PSF) should be proscribed (declared illegal). Following the invasion of the Falkland Islands by Argentina, the issue of Northern Ireland fell further down the British political agenda. 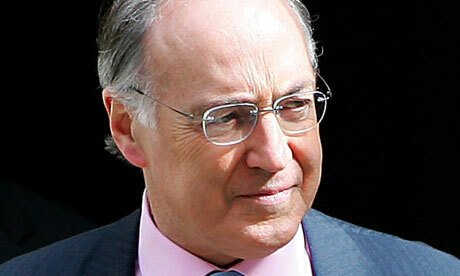 Michael Howard, then Home Secretary, introduced new emergency legislation to give the police the right to ‘stop and search’ suspected members of paramilitary groups. A car bomb, estimated at 1,000 pounds, was intercepted by the Garda Síochána (the Irish police) Emergency Response Unit at Dun Laoghaire ferry port close to Dublin. The Ulster Unionist Party (UUP) issued a statement in response to the Hillsborough Declaration. A Protestant civilian was mistaken for a Catholic and beaten to death by Loyalists in Belfast. Found shot at side of the road, near Ballyhalbert, County Down. Found shot, Tullymacreeve, near Forkhill, County Armagh. Shot at his sister’s home, Leoville Street, off Springfield Road, Belfast. Off duty. Killed when detonated booby trap bomb attached to his car, shortly after leaving Bessbrook Royal Ulster Constabulary (RUC) base, County Armagh. Shot at his home, Havana Court, Ardoyne, Belfast. Sinn Fein (SF) election worker. Shot while sitting in his car near his home, Coleraine Road, Kilrea, County Derry. Died two days after being badly beaten, Harmin Parade, Glengormley, near Belfast, County Antrim. Assumed to be a Catholic.